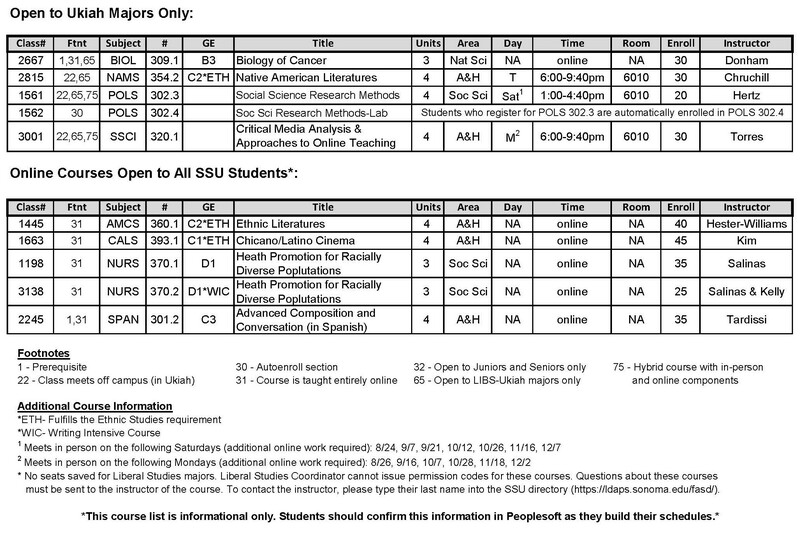 For textbook assignments please enter your course information into the SSU Bookstore Course Material Search Page. If textook information is not available there, or if you have questions about a course you are enrolled in, including textbook information, please contact the instructor directly. You can also download a PDF copy of the Ukiah Fall 2019 schedule.